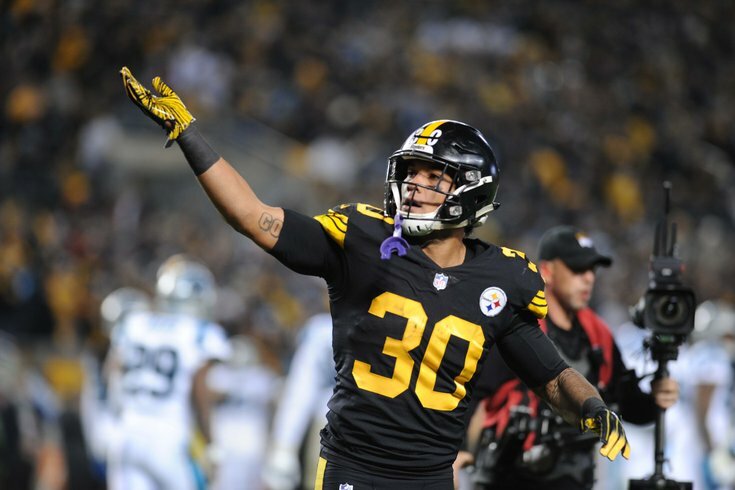 Pittsburgh Steelers running back James Conner. While not as lengthy as last week's fantasy football injury slate, the below players have the ability to make or break several fantasy teams as the push for a playoff berth continues. The Rams feared the worst after Kupp left Sunday's game with a potentially torn ACL. It was confirmed Monday morning that Kupp's 2018 is over. To no one's surprise, Rams' WR Cooper Kupp tore his ACL and is out for the season, per source. This development makes Brandin Cooks and Robert Woods even more valuable in the dynamic L.A offense and makes Josh Reynolds a reasonable pick up as the team's third WR. Green's toe injury will keep him sidelined for at least a few more weeks, with ESPN's Adam Schefter reporting that he will be out until at least December. Week 13 falls on December 2, meaning that's likely the soonest the Bengals top target will return. With his potential reemergence, he is certainly worth keeping on IR (at least if your team is heading for the playoffs). Le'Veon Bell's surprisingly potent stand in, Conner, is in the concussion protocol after a head injury last week. He is expected, reports suggest, to pass and be ready next week but with concussions nothing is ever particularly predictable. Jaylen Samuels and Stevan Ridley are the next two RB on the depth chart, and would be a back up plan if Conner can't suit up November 18. Edelman had a pretty good game — nine catches for 104 yards — in New England's embarrassing loss to the Titans in Week 10 but he didn't finish the game. Tom Brady's favorite target left with an ankle injury and was ruled questionable to return, and did not. He will be a player to monitor throughout the week, as he was already pretty beat up and was limited in practice last week. After the trade of Golden Tate, Jones is Detroit's top target. He left Sunday's game in the fourth quarter after catching three passes. The injury was to his right knee, and as of right not there is no information available about the severity of the setback. He will at the very least be questionable next week and is worth monitoring closely. Flacco is suffering through a potentially serious hip injury that could keep him out of Week 11 — but according to reports, the Ravens were already thinking of starting rookie Lamar Jackson next week regardless. If you're desperate for a quarterback, Jackson will be available in nearly all leagues. Both of Miami's wideouts left Sunday's game against the Packers with injuries that could sideline them for a bit going forward. Grant, first, was seen leaving the stadium in a walking boot with an apparent leg injury — potentially a serious one. Parker has a shoulder injury. If both miss time, Kenny Stills and Danny Amendola will be the only two playable wideouts in Miami. The lowly Raiders continue to lose weapons on offense, as Bryant left Sunday's game with a PCL injury to his left knee. The seriousness of the setback is not yet known, but an MRI will answer questions soon.